A mother tenrec carries one of her many offspring. 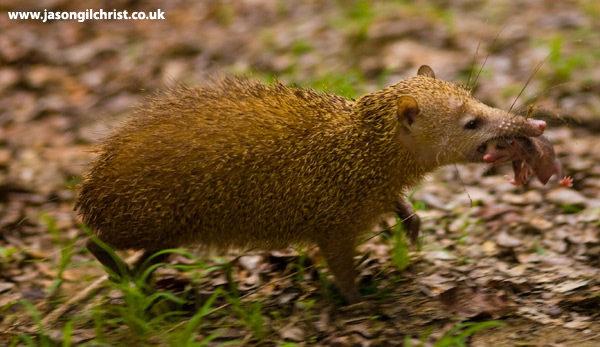 Tenrecs have the largest litter size for a mammal. This female was retrieving her litter one-by-one from various nooks and crannies on the forest floor. Common tenrec (Tenrec ecaudatus).